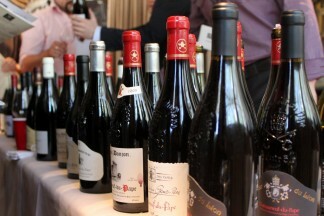 Les Conseillers du vin organizes a series of wine tasting workshops developed around precise upscale themes. Generally grouping fifteen wine enthusiasts, Les Conseillers du Vin tasting workshops are great opportunities to explore and discover different grape varieties, regions, vintages and producers. Friendly accessible, unpretentious, workshops that should appeal to beginners and more knowledgeable consumers. You wish to organize a private themed tasting event for your employees, your guests or your clients? Call Les Conseillers du Vin, we will develop a wine tasting event that best suits your needs and desires offered in your preferred language (English or French). Contact us to discuss the numerous possibilities! Courses, workshops and wine tasting by Nick Hamilton. Private consultation, evenings animation and conferences.